My soccermom-ish tendencies, as I like to call them, astound me by the day as I find myself doing things I never thought I would do. 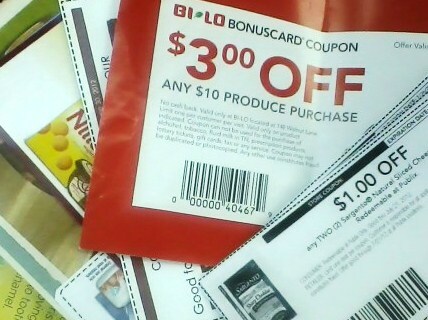 Point and case: rambling on and on about the thrill of saving money with coupons. Coupon clipping isn’t too soccermom-ish, is it? Start a blog about your money-saving tactics and excursions. Give insider advice on saving money for just about anything. Review coupon websites, tell us the best coupon magazines to subscribe to, lead us to the best stores. What’s the deal with Groupon? How do you double coupons? Is it worth it to join a library coupon swap group? Tomorrow is the first official day of summer. Summer, ahh. A great time for swimming, tanning, reading, playing, yardsaling, taking trips, and . . . bucket-listing. Summer is one of those rare times of the year when you just might have enough time to do some of those things you never have time to do during the other three seasons of the year. So celebrate by starting a blog that documents your undertakings to check off the items on your bucket list. Right now, I’m camera-less. It’s torturous, nearly. Beautiful summer sunset, new items to sell on eBay, the heightening lettuce in my first garden – I can’t snap shots of any of them. What’s a (at-least-I-pretend-to-be-a) photographer to do? Remind me never to lose my camera again. But really, it is a time of confession. When I first started blogging, I had my own camera. For a few months. I was always on the lookout for blog-worthy photos to complement my posts. Then I lost it (Take this sentence in every meaning possible.). Ever since, it’s been downhill. Yes, I borrowed my housemate’s camera, but it’s not the same. And recently, I feel increasingly guilty that I haven’t returned it to her yet. I probably should . . . I could say some pithy quote about pictures being worth a 1000 words, but honestly my reasoning is just that people like to look at pictures. Even as adults, we’d rather feast our eyes on books, webpages, instruction manuals, etc. that are filled with illustrations rather than settle for dry, word-only content. So there you have it. What, did you expect me to include a picture or something? In my recent post “fish [and other adorable pets] are friends,” I advocated starting a blog about your pet. Fellow blogger hamsterdiaries liked the post, and thus I was introduced to the epitome of an amazing blog about a pet, a Syrian hamster to be exact. 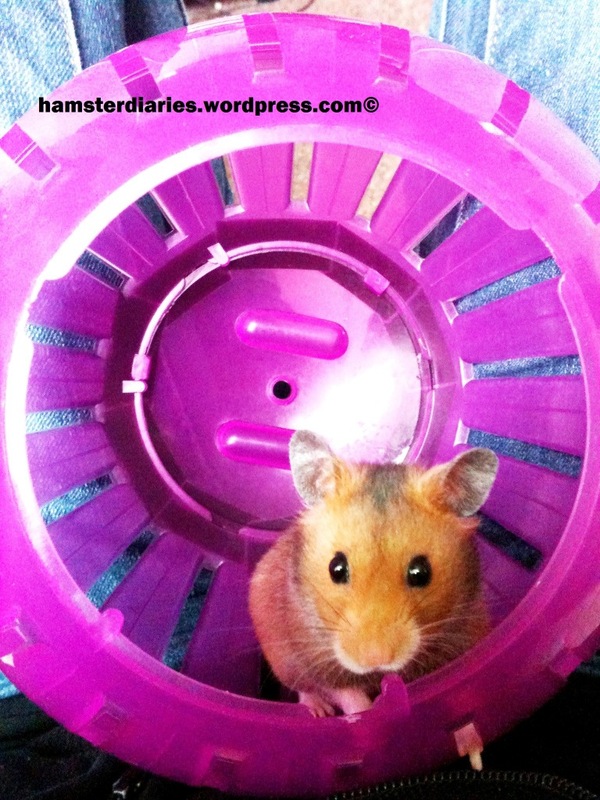 As I recently got a new hamster, Dexter, I thought why not share the experience and problems that occur with these pets on this blog and share with other readers and owners! I know so many little tricks and ideas for troubled owners to try on problem hamsters and wanted a place to share all the information as well as videos and photos! 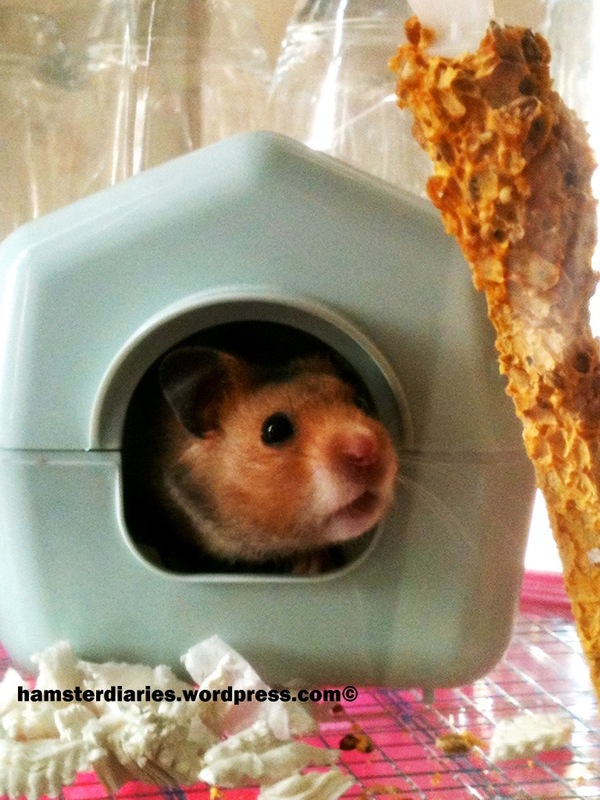 – share pictures, videos and experiences from my own hamsters life. – answer questions or worries from new hamster owners*! – post new toys/products etc designed for hamsters and let you know if they’re any good! Genius! I would have never thought of writing product reviews or sharing tips for training. That’s why I can’t write all the blogs; I need your help. So blog on! “Fish are friends, not food.” We remember when the indecisive shark in Finding Nemo said this, and it was a bit hard for him to live up to the deep truth he spoke. But not for us. Fish are our friends! They can be the most genial of friends, undemanding and pleasantly reserved (Communication barriers don’t have to be viewed as all that bad.). Click if you want this one. But they aren’t our only friends. No, there all the other adorable pets we’ve grown so fond of in our many years of pet ownership. Perhaps you are the well-seasoned “cat woman” of your neighborhood, housing a range of 10-20 animals (mostly cats) on any given day. Or maybe you’re the more well-rounded owner of a few normal pets mixed in with the occasional exotic creature like a lizard or tarantula. Or perhaps you are the less experienced, naive individual with limited pet access in your life’s history. Wherever you fall in the pet-keeping range, perhaps you are considering getting a new pet soon? I myself must admit that I’ve given it some consideration. Lots of consideration. Okay, I admit to browsing the “Pets” page on Craigslist every few . . . days (Maybe hours, but let’s not get technical.). Puppies. Kittens. Bunnies. Chinchillas (Really?). Ferrets. Iguanas. Who can resist browsing these pet posts and photos? Get a new pet. It could be one you’ve never had before, or an old favorite. Start a blog about your time with and care for this pet. Have the frequent photo opp. Pose funny pictures. Share stories and adventures. 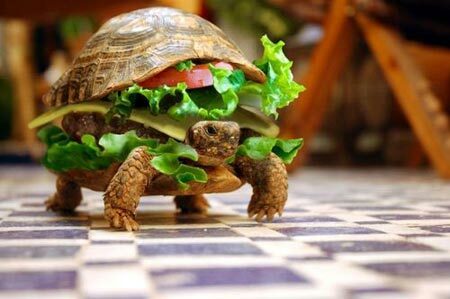 Please tell me why this picture was a result when I searched for “turtle eating lettuce.” Someone didn’t get the memo about fish being friends. There comes a time in every blogger’s life when he or she feels stuck in a blogging rut. All the posts are the same, only slightly different. As a result, blog posts get fewer and far between-er (Is it correct to say that? Oh well.). Such has been the course of events for this blogger. So I have to ask myself: Why? When I first began writing on Startablogabout, I tried to limit myself from posting every half hour, for the sake of all the blog readers that might get tired of blog update emails inundating their inboxes. It was mere compassion, really. Today, I feel … not short of ideas, but short of a sort of blogging-inspiration. Now, you must know, dear bloggers, how many times I have fought the urge to abandon ship and start a new blog. Remember my confession from day one? It has been quite difficult. It’s been as hard as telling yourself not to open the cabinet and eat those delicious chocolate chip cookies stored within. But dear bloggers, I won’t give up if you won’t give up! I know that this is just the common human experience that we all face in the blogosphere. 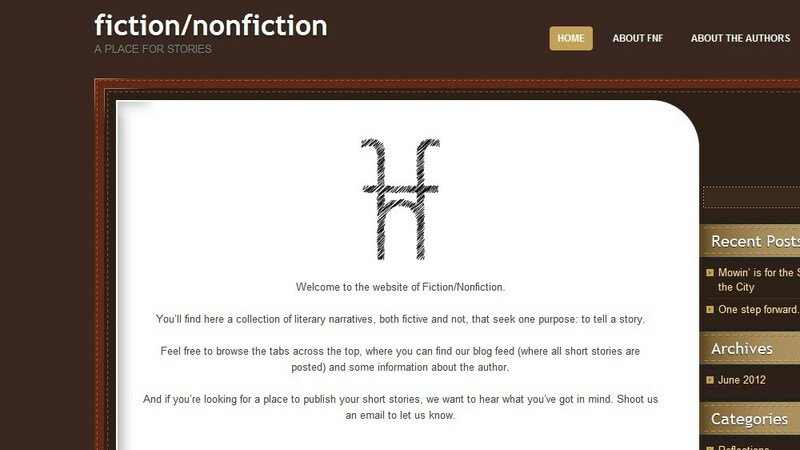 Instead of starting a new blog, I will try to find some ways to revamp this one. I’ll branch out. I will be trying out some new sorts of posts, instead of always that predictable pattern of 1) Here’s something cool about something. 2) Hey, someone should start a blog about this. 3) They could name it ___________ (insert cheesy titles that I brainstorm). Some new types of posts might include general blogging ideas – such as how to choose a blog name; shoutouts to new blog starters; plugs for some great blogs out there; and, who knows, maybe even something else that’s crazy and unheard of. Any suggestions? 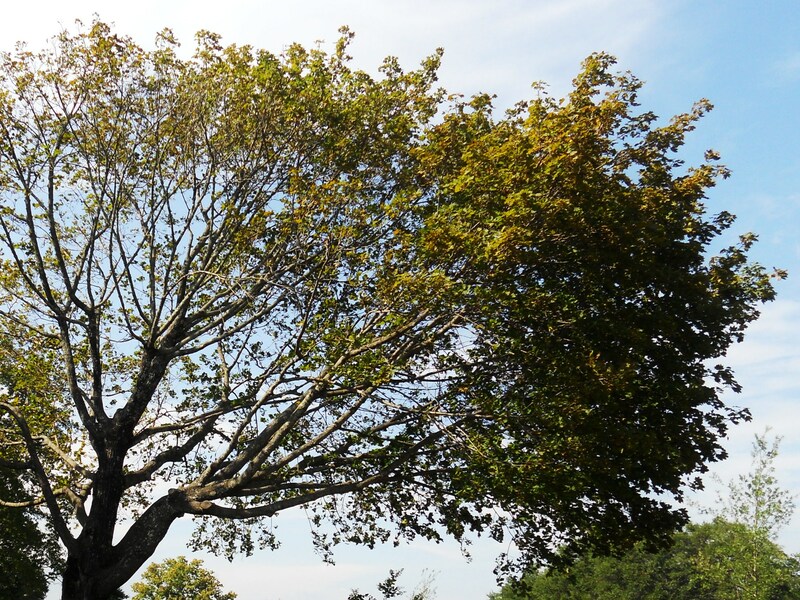 I look forward to branching out and blogging on, dear readers. Thanks for sticking with me!